Tip #1: Review the company/organization’s website and recent news. Interviewers love to see your passion and knowledge, especially if it’s about their organization. I recommended studying the organization’s entire website (i.e. history, top executives, missions/goals) and recent news. You can easily find out recent news and articles by googling the company and clicking the “news” section. Be sure to implement your findings and company terminology into the conversation to impress the interview panel! Tip #2: Check your closet! Please, please, PLEASE don’t wait until the day of (or even the day before!) to pick out your interview outfit. You need time to ensure your potential dress is knee length, the shoes are comfortable and you can raise your arms in the blazer. Some quick tips are to keep heels 3 inches high or less, wear pantyhose unless it’s the spring or summer, absolutely no cleavage and make sure you keep your hair out of your face with natural makeup. And, with so many fabulous nail trends, keep them on the shorter end with a neutral color for a professional look. For the men out there, make sure your tie is nice and neat, the suit is tailored and ironed and your hair is groomed! Tip #3: Prepare your questions and answers beforehand. I’m not saying to be a rehearsed robot, but be sure to know why you want the position, how you would benefit the organization and vice versa as well as typical questions like, what’s your greatest strength and weakness. Brainstorm a quick rough draft of answers that you can keep in your head. 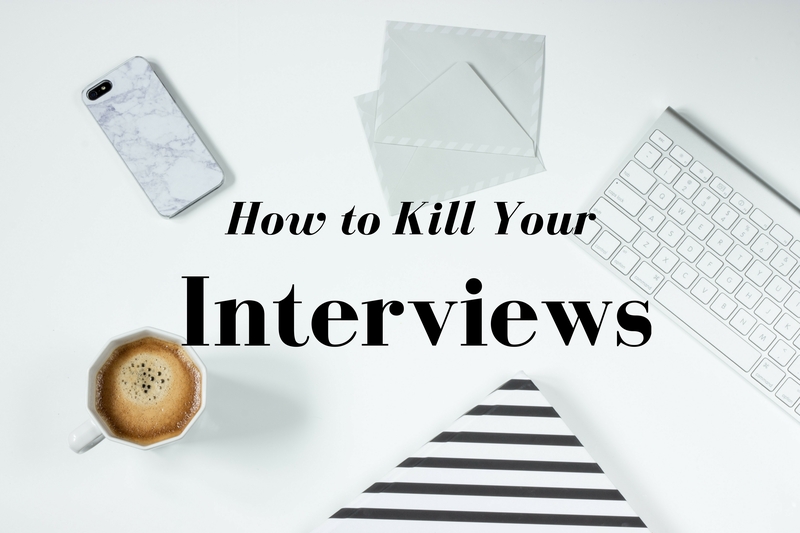 And, don’t forget to think of thoughtful questions to ask the interviewer such as, “what are you looking for in job candidates?” or simply end with a “thank you for taking the time to interview me”. Tip #4: Body language is everything! Make sure to remain open and welcoming with your body language. No crossed armed or blank stares. Try to maintain a smile or engaged facial expressions with hands placed in lap with crossed legs. Now, it’s perfectly fine to move your hands while talking but tone it down to not seem overdramatic or distracting. Tip #5: Confidence is within yourself. Leave the “maybes” and “I think” phrases at the door! Be confident and own your ideas and thoughts. As women, especially young women, we must claim our beliefs and knowledge in interviews to showcase our abilities and passion. Practice in the mirror with statements such as, “I know…I am…I can…”. Exude confidence and your sure to capture an interviewer’s attention. A little extra something – the power of prayer! I am a strong believer in the power of prayer. Before every interview, I first, call my mother, then say a prayer before and after the interview. I find that prayer calms my nerves, strengthens my faith and provides a moment of reflection. Even if you’re not religious, take a moment before the interview to pump yourself up and say some positive mantras. Go kill your interviews! List your own tips or ask for more advice in the comments below.